The earth is under an attack from an alien invasion, so what do the humans do? We build giant robots to defend ourselves, of course. Is that not the obvious answer? Another movie about an alien invasion has been made. 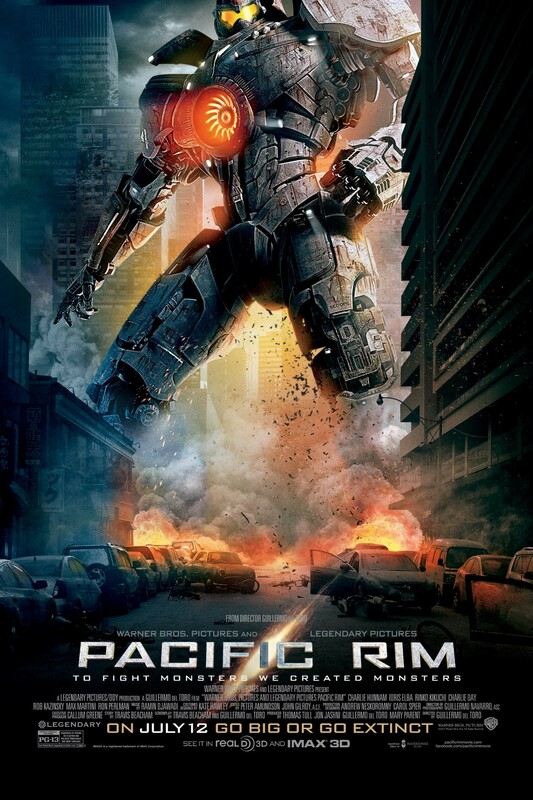 This time, it looks like they mixed the movie with Transformers (2007) and Real Steel (2011). Apparently this is what writer and director Guillermo Del Toro thinks an alien movie should be like. The cast includes Charlie Hunnam, Ron Perlman, Idris Elba, Charlie Day, Rinko Kikuchi, Burn Gorman, Clifton Collins Jr., Robert Maillet, and Heather Doerksen. I for one, am pretty fed up with movies like this one. Just how extreme can we possibly make our special effects? They look so far out in this movie that it all looks fake and does not look interesting to me at all. This is just my opinion, I’m sure there are people out there that have marked the release date of this movie on their calendars and are planning a midnight showing, but I’m not that guy. I will gladly skip this movie. I’m sure it will make millions, but it won’t get any of my money. The movie is set to release on 7/12/13.